I last spoke of the return of the plica syndrome in mid-December, so I’ve stayed off the bicycle since then. And even though I’ve been doing short easy runs through the holidays, plantar fasciitis struck in mid-January. I know from past experience (believe it or not, I had PF years ago from bicycling!) that I don’t dare do anything which could aggravate it. So I’ve been completely sidelined for the latter half of January. In the meantime I added a couple of pages to the website: Race All 50 and Bike All 50. Today I decided to hop on the bike for about 10 miles through the local hills. Although I was dropping into my lowest gear earlier than normal, it was still a great ride and my knee felt fine. Though I am working on a cross-training alternative for when I only have a half hour in the morning before work. I’ll have an update on that soon! 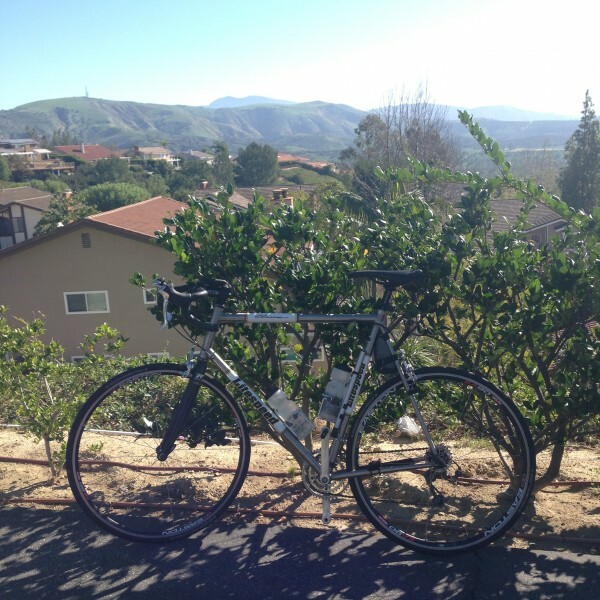 This entry was posted in Bicycling, Running on February 1, 2015 by BikingBrian.